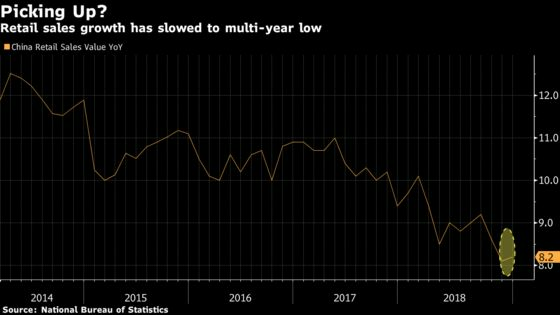 (Bloomberg) -- China offered new measures to reduce taxes and raise its citizens’ wages, ramping up an already ambitious plan to boost domestic demand. Policy makers are drafting policies to help farmers, small-business owners and scientific researchers boost their incomes, the Economic Information Daily reported, citing unnamed sources. The measures will probably include "bigger breakthroughs" in land reform to enhance farmers’ property gains, the newspaper said. Beijing will also lower the postal tax for food, medicines, textiles and electronic equipment from next week, the State Council announced Wednesday. The measure could help private purchasing agents who help domestic consumers buy goods overseas and ship them back. Chinese leaders are responding to slowing economic growth and soft consumption with the most ambitious tax reduction in years, promising to slash taxes and fees by two trillion yuan ($298 billion) in 2019. Those measures, in addition to the improving prospects of a trade deal with the U.S. and a relatively stable labor market, are gradually turning consumer confidence around, according to economists at UBS Group AG and China International Capital Corporation. "If the current policy setting of stable financial conditions and more forceful fiscal stimulus were to be sustained in the rest of 2019, consumption will likely recover from a relatively lower base," CICC economists Eva Yi and Liang Hong wrote in a report.